Taking a calming lavender bath at the end of the day definitely sounds appealing. But, essential oils come from a certain level of science and emotional appeal that create the expected response. First, we have to look at how essential oils work with our brains. Molecules bind to cell membranes that are receptors inside us. Essential oils bind with these receptors, resulting in chemical actions. Basically, receptors for molecules exist inside of us to cause actions. But, they exist primarily for substances that are naturally inside of us. “If it interacts with the body, then it’s eliciting a biological response,” Rappe said. Part of this has to do with things that are aromatics, something emitting a pleasant smell. From a chemistry standpoint, there are compounds that encourage a specific reaction. Research of this goes past the essential oils concept and into a wide range of things, like wine aromatic research. “If it interacts with the body, then it’s eliciting a biological response.” -CSU chemistry professor, Anthony Rappe, Ph.D. Compared to Menke’s research, essential oils are not always scientifically supported. 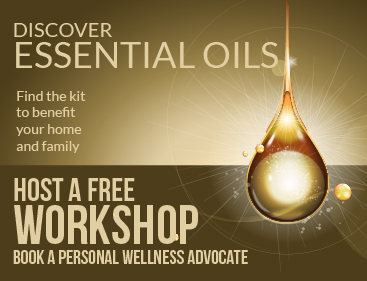 Essential oils go beyond what chemistry dictates. There are a lot of aromatherapists who help people understand essential oils and how they can utilize them for what they need. There is the emotional pull of smells too. “When we smell things they make us feel a certain way, too. You know, even things that might remind us of our childhood, good or bad. We have that cellular memory of smells,” Balik said. Essential oils can be helpful in a lot of different ways not only chemically and biologically speaking but also in an aromatherapeutic way as well. Collegian reporter Maddie Wright can be reached at [email protected] or on Twitter @maddierwright.